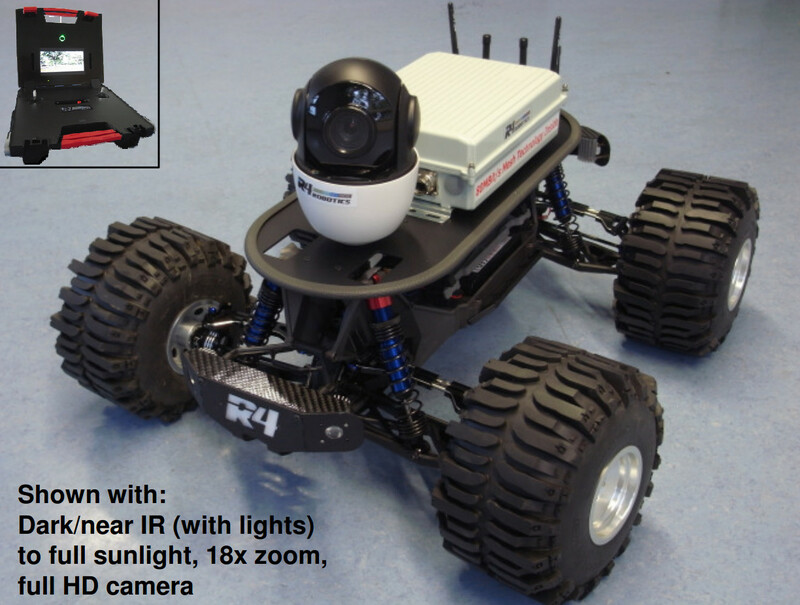 This 4wheel Explorer is ideal for use in underground mining or large buildings with extremely difficult RF transmission conditions – as the 80 Mbit/s Mesh Technology lets you stay connected! The incredibly robust network connects with any IP enabled controller platform (such as the Explorer) or Sensor (such as the payload shown) bi-directionally. To download a an informational flyer about the R4 4wheel Explorer CLICK HERE. The 4wheel Explorer or the 80 Mbit/s Mesh Technology can be used independent of each other, based on the application.